To absolve my guilt about not blogging more, I'll simply say that it's been a very busy year. The results of that busy year are now coming to fruition with two of my new articles on entrepreneurial cultures and ecosystems coming out in the past few weeks. First, I just published an article in the Journal of Economic Geography on regional entrepreneurial cultures and mentorship. This is work that came out of my dissertation that looked at the origin of entrepreneurial practices. I was interviewing entrepreneurs in Ottawa and Waterloo, Canada, and saw huge differences in both the number of entrepreneurs who had mentors. The difference was only seen looking between the two cities: it didn't matter if they were high-growth of lifestyle entrepreneurs or serial vs first time firm founders. The reason for this was the relationship between each city's local culture and the shared culture of 'tech entrepreneurship' — the general feelings and understandings about entrepreneurship created by the global business media and entrepreneurial communities. That later culture sees mentorship as a real important part of the entrepreneurship process, but the importance of mentorship differs within different regional cultures based on a variety of factors. So, how do we understand the complex interplay of local and non-local cultures? I argue that the work of Pierre Bourdieu can be very useful. Bourdieu talks about fields — ordered systems of social rules and relations — and habitus, people's internalised understandings of how fields work. Entrepreneurs are embedded in both their local field as well as the more global field of the technology entrepreneurship community. Entrepreneurs have to be very skilled at navigating the often conflicting norms found within different fields. The paper is very conceptual and tries to build a model of entrepreneurial culture from a Bourdieuian perspective. The main take away is that instead of talking about if a place has an 'entrepreneurial culture' or not, we should be better concerned about the different types of fields entrepreneurs are embedded in and how they understand their overlapping position in them. This stops culture from being some monolithic, deterministic force and helps us understand it as a more nuanced context that contributes to entrepreneurs' own practices. 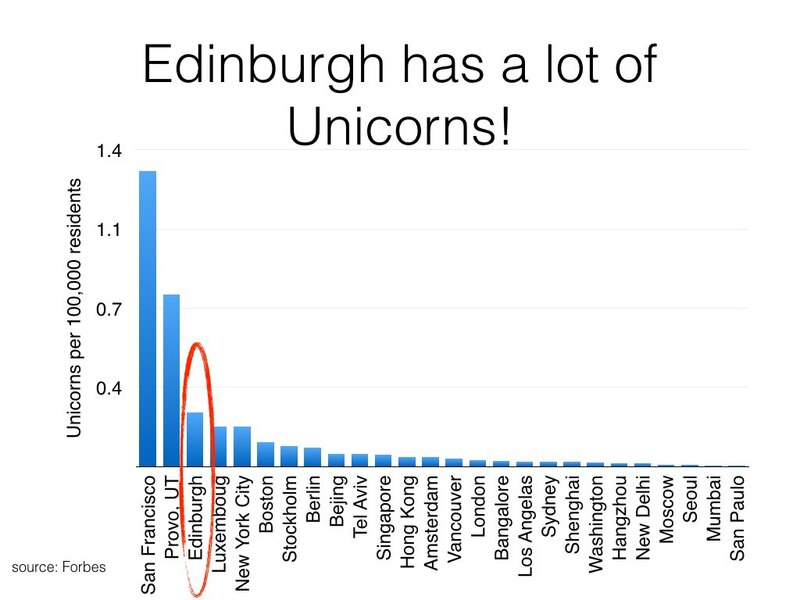 The second article, in the International Journal of Innovation and Regional Development, is an empirical peek at how Edinburgh's entrepreneurial ecosystem works. It reports some early work I did on the role of different entrepreneurial support programs that operate within Edinburgh's entrepreneurial ecosystem. I think there are two important findings in this paper. One, Edinburgh has a huge number of different public and private programs designed to support high-tech entrepreneurs. I counted somewhere around 45, but that's a very conservative estimate. While I think Edinburgh is at the high end of the number of programs for a city of it's size, it's clear that most communities don't have just one program but a whole network of programs that work together to support entrepreneurs. This is echoed in a recent study of St. Louis by researchers at the Kauffman Foundation in Entrepreneurship and Regional Development. Second, I didn't see much competition between these programs. While they overlapped to s0me extent in the types of support they provided (see figure above), they were generally able to specialise in different industries and stages of the entrepreneurship process, handing off entrepreneurs to different programs as their needs changed. This creates a pipeline that entrepreneurs can enter and ensures that they are supported throughout their journey. Should we be surprised that university entrepreneurship programs don't produce too many entrepreneurs? The answer to any question in a headline is No. A recent article in the Globe and Mail talked about the poor results from grants Ontario gave to universities to build out entrepreneurship programs. It's the traditional gripes about university startup programs: too much money spent useless things (office space and 3D printers) or money spent on things that could be free (mentorship) and it's too difficult to track outcomes. This problem is everywhere. Entrepreneurship is seen by the public and by the government as A Good Thing That Should Be Encouraged. Money is made available to universities to promote entrepreneurship, usually through the creation of a entrepreneurship support group inside a business school or the university commercialisation body. They run business creation workshops for students, review business plans, hold pitching competitions, and maybe they have some sort subsidised office space or angel seed money for the very best kids. And after 4 or 5 years of this, the results are tallied up and they don't look good. There are a few academic spinouts, but but many of them might still be in the angel investment/VC investment phase with very little to show. If the entrepreneurship organisation is very good at record keeping, they might have a list of how many students they helped have gone on to start a new venture, but chances are also that these startups have low growth potential. So there's a re-org, new management is brought in, a new mission statement crafted. Wash, rise and repeat. The problem with many university entrepreneurship programs is that we are measuring the wrong things. It's great if we embed entrepreneurship in the curriculum so much that students in all disciplines from STEM to Slavic Studies are prepared to identify a pain point and build a Minimal Viable Product while filling out their Business Model Canvas while watching a TED talk. But the fact is that recent university graduates are pretty poorly positioned to startup a growth-ready startup. Because they have little experience in any industry, they are poorly positioned to identify needs in industrial value chains or really anything beyond consumer products / apps. Studies have shown that the most successful entrepreneurs are generally in their late 30s/40s and have at least 10 years experience in the industry they're entering. They have the knowledge, the legitimacy, and the resources necessary to successfully create a new, fast-growing venture. In this sense, it's kind of foolish for recently graduated students to jump into starting their own company the second they graduate. Some students who have been dreaming about running their own company for years will do this, and that's great. They have the initiative, flexibility, and orientation needed to be a great entrepreneur. But for most students, this entrepreneurship was never their goal after they graduate. For these students, the majority of a university's student body, the point of entrepreneurship education is to plant a seed. Knowing that entrepreneurship is an option for them, knowing the fundamentals about what works in a startup and what doesn't can help a graduate who is 8 or 10 years into their career in an industry see an opportunity and decide to take the risk of going after it. Now they not only have the skills to start a business they have the inside knowledge and experience that gives them an unfair advantage. The problem is that these startups will never show up in any analysis of the university's entrepreneurial performance. The connection is too long-term and too subtle to easily pick up. But I think these types of startups are the most important outcome of university entrepreneurship education programs. It's just a shame that we'll never be able to count them. There's no solution to this. All we can do is temper our expectations for what an immediate intervention can do. A single program with a 3-year rolling budget won't make a university a startup factory. This kind of transformation is a decades long project involving long-term investments, changes to the way tenure and promotions work, and a complete reinvention of the university's culture and the type of students it creates. But what these programs can do is help create a more entrepreneurial population of graduates, even if they don't become entrepreneurs until long after they've graduates. 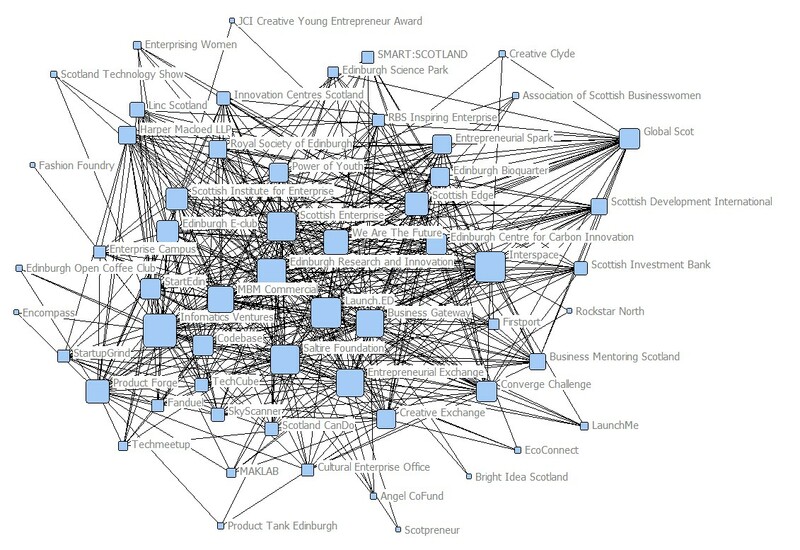 For the past few months I've been carrying out a study of Edinburgh's entrepreneurial ecosystem. I recently published a white paper summarizing my initial findings, which you can read here [PDF warning]. I was primarily looking at the role of entrepreneurship support programs in helping to create a thriving entrepreneurial ecosystem. Support programs, often run by the public sector, are a crucial part of an entrepreneurial ecosystem. They help correct for the market failures that often face early stage companies: entrepreneurs may have great vision and technology, but they'll always experience trouble convincing investors and customers of this. Programs can help entrepreneurs by providing them with training, grants, and help build their social networks to connect with other entrepreneurs and advisors. What does this mean for Edinburgh's ecosystem? On one hand, it's a good thing. Lots of programs mean that entrepreneurs can pick programs that provide the right resources and support for them without having to endure generic programs that aren't very relevant to them. However, I'm a bit concerned that the Scottish Government has a bit too much power in creating and running these support programs. In my study, about 80% of the programs I interviewed got their funding in some way through either Scottish Enterprise or another Scottish Government funding body. One of the defining characteristics of an entrepreneurial ecosystem is that it is primarily run by and for entrepreneurs. Entrepreneurs themselves should be identifying their needs and helping to create organizations to deal with the issues they encounter. The role of the government should be to sit back and support the entrepreneurs doing this. Otherwise the state risks investing resources in areas that aren't affecting entrepreneurs. Programs like StartEDIN are great examples of entrepreneurs coming together to identify common problems and working towards solutions. This should be encouraged rather than crowded out through public investment. The big takeaway from this table is (1) it's easy to see that things that proxy economic growth, like population growth, and the presence of other startups, are generally constantly associated with higher levels of entrepreneurial activities. We also see interesting differences between countries. Personal wealth has almost no effect on German entrepreneurship, but it is shows to cause it in countries like Sweden and the US. It's a difficult task to tease out if this is more related to differing national economies, or due to the different statistics and methods used by the various papers. The second table are the results from Canada. I argue in this paper that Canadian self-employment appears to be mostly driven by local economic growth. Population growth, a fairly good proxy for economic growth (people aren't moving to Fort MacMurray for the culture) has a positive effect and unemployment has a negative effect. Nothing too surprising there. Barriers to entry are important too, economies dominated by a few large employers have less entrepreneurship than those with a pre-existing base of small businesses. Most surprising was the role of taxes, I found that areas with higher commercial-to-residential tax ratios had higher rates of self-employment than other regions. I don't know what to make of this last finding: it'll take some more work to figure out if this is a real issue or just a statistical artifact. I've been busy over the last few weeks teaching my first class ever, but I got a pleasant surprise that an article that I had written last year has finally been published in The Canadian Geographer. The Spatial Economy of North American Trade Fairs uses a unique dataset to track the location, size, and types of trade fairs over the past decade. The paper is specifically interested in showing how a relational event (trade fairs are temporary gatherings of international actors) still have a real, every-day geography to them. Lots of pretty maps and graphs! E-mail me for a copy if you don't have free access to the article.